For this week’s post, I am introducing a very interesting conference because I read an alarming article, which said that according to the latest statistics “childhood obesity has more than doubled in children and tripled in adolescents in the past 30 years”. I know Christmas is around the corner and much of our holidays are controlled by where we have to eat the next 5 course meal, but the above mentioned fact is very attention grabbing. Nestlé Research Centre has been focusing on this, so they brought up the issue at their 10th annual Nestlé International Nutrition Symposium. The topic was “Nutrition, Obesity and Society“. The conference took place at the Nestlé Research Centre in Lausanne on the 24th & 25th of October. Just so we know a little bit of their organization, the Nestlé Research Center is at the heart of fundamental scientific research and innovation within Nestlé. Their role is to drive science and technology, from basic nutrition and health research, to applied research for product development and application. The issues that they tackle are relatable to our everyday consumptions, our habits and how it affects our body, among others. They realized that over the past decades, obesity has become a global epidemic affecting industrialized and emerging countries alike. Overweight and obesity are major risk factors for developing non-communicable diseases such as heart disease and stroke. Diabetes, osteoarthritis and even certain cancers are linked to obesity, and in low income societies this is often in addition to the burden of infectious disease and under nutrition. 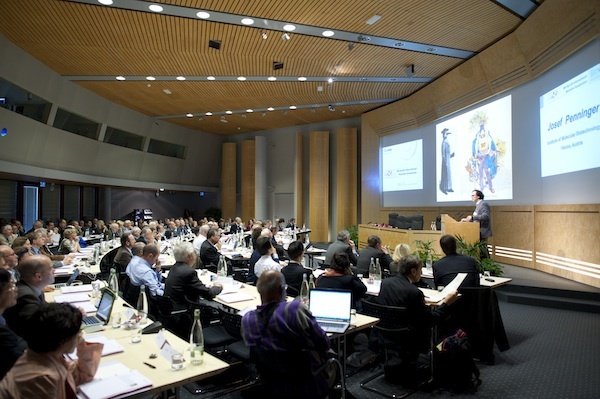 The symposium brought together renowned scientists, key opinion leaders and Nestlé experts for two days at the Nestlé Research Center, Lausanne, Switzerland, to discuss the science and health economics linked to the obesity epidemic. Nestlé has recognized the importance of sharing the science-based information to educate people. It has become their mission to contribute to the enhancement of the quality of people’s lives all over the world. This is where Klewel solutions provide an extremely useful tool for them. By recording and archiving their conferences, workshops and symposiums they are able to educate us on these rather interesting topics. Our Triskel station archives the contents in a way that is easy to retrieve, watch and search later.